The world has come to ruins after extreme warfare. The United States government has fallen and those left are scraping to survive as survivalists. A former actor that drifts from place to place is picked up by a large group of mercenaries led by the tyrant General Bethlehem. He is forced into service of the group, but later escapes. When he stumbles upon a postal vehicle with a skeleton wearing a postal uniform with a bag of mail, he takes advantage of the opportunity. 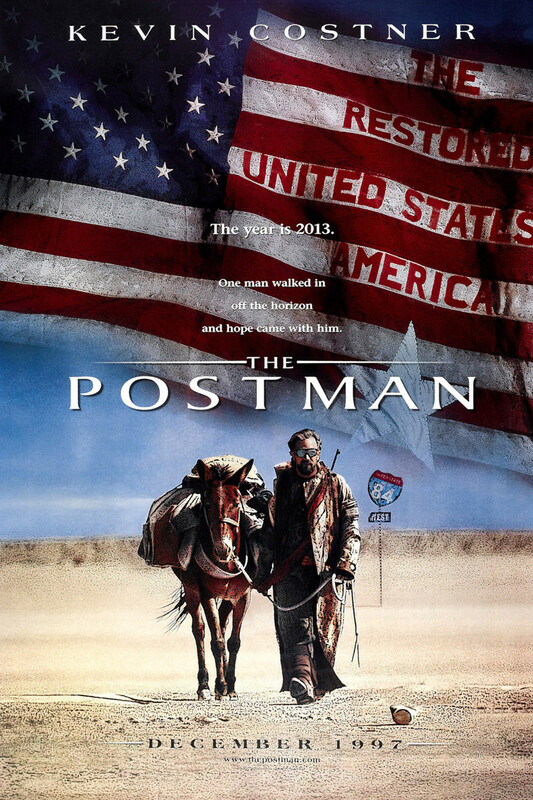 Seeing the old mailbag as a way to get a hot meal and lodgings in local communities, he sets off as the Postman. What he didn't expect was to stir hope and revolution in a restored United States!